Does the violence in the far north affect tourists? Mozambique was surprised by the Mocimboa da Praia attacks in early October 2017. A group of about 40 young men, some armed with guns, others with machetes, tried to take over this small district capital. Since then there has been lots of attacks in rural area in this and Palma District, the region of the new gas megaproject. It's important to note that this is an area with very few tourists so tourism in Mozambique is still considered safe. These isolated incidents are very centralised and the areas should be avoided until the situation is normalised. Targets have been local community members. Does the fighting between the government and Renamo affect tourists? Does the recent upsurge in kidnappings affect tourists? Over the last three years the number of kidnappings in Maputo has grown rapidly, there has also been a few cases in Beira. These kidnappings are targeting the most wealthy families in Mozambique. At present there is extremely low chance that a tourist would be targeted. Usually the kidnappers have considerable information about their victims including even the amount of money in their private bank accounts. 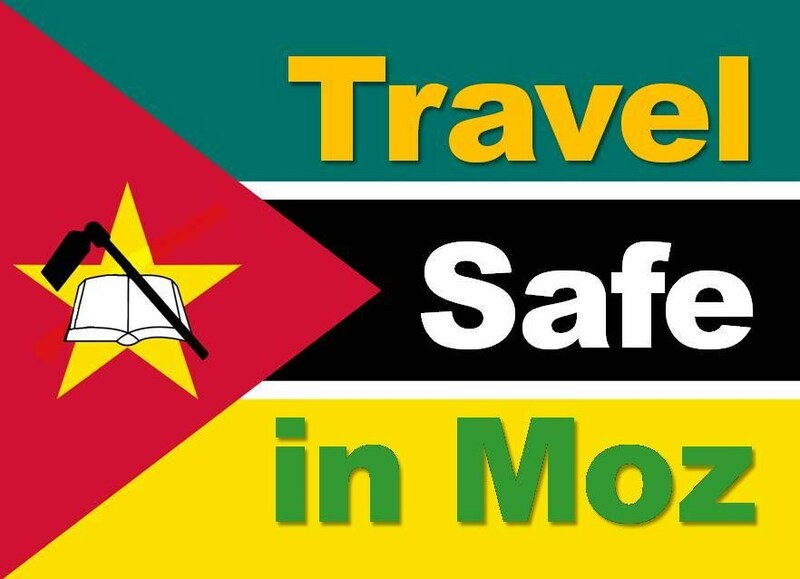 What are the most common dangers in Mozambique? * Make sure you have either your passport on you at all times, or a notorised copy of your passport and visa. Notaries can be found in almost all major towns in Mozambique. Getting the photocopy of your passport notarised is quick, and costs less than a dollar. * When driving make sure you have two triangles, two glowing jackets, your battery secured down, and all of your documents in order, and as difficult as it is sometimes to drop from 120km/h to 60km/h in a small distance, do it to avoid the multiple speed cameras. And remember, every time you pay a bribe you are becoming part of the problem, giving more incentive for Police to harass more people in the future. In summary, Mozambique is a very safe country to visit, this despite moderate political instability. Take the correct precautions and you will enjoy this wonderful country just as hundreds of thousands of travellers do every year. 03/06/16 - The political instability is now being felt as far as south as Funhalouro, in Inhambane Province. Reports of houses being burnt down by armed men and villagers fleeing from Tsenane in fear. 28/03/16 - A government motorcade was attacked by gunmen in one of the most brash attacks recorded since violence returned in January. The attack occurred on the N7 in Manica Province and three police were injured. 26/02/16 - For over one week Central Mozambique has suffered on average two attacks per day. Not only on the military columns but also at police stations in Inhambane Province, and Manica Province. The situation remains very unpredictable and most embassies are heightening their travel warnings despite a large majority of the country being absolutely safe to travel in. 11/02/16 - Reports of four civilian vehicles being hit by bullets around the infamous Muxungue, Rio Save area. 10/11/15 - Unsettling images show members of Renamo being maltreated by Police and "disarmed" when no arms where found in their ransacked houses. 02/10/15 - Confirmation of battles in the Gondola region of Manica Province. CanalMoz reports government forces attacking this area with both the Provincial Police Commander, and Renamo confirming the attacks. There are reports of the population fleeing as their huts are burned. 20/09/15 - Government claims that attack on Dhalkama's convoy was staged despite independant news sources, including a Portuguese reporter, confirming the ambush. 12/05/15 - Dhlakama once again made a veiled threat saying that he will govern within two months at a rally in Nacala. "If Frelimo want to play around we will rule by force"
30/04/15 - Parliament on 30 April rejected Renamo's proposal to create "autonomous provinces" (autarquias provinciais) similar to the elected municipalities. The vote was 138 to 98, with Frelimo voting against and Renamo and MDM voting for. 15/08/14 - The country awaits the more ceremonial signing with President Guebuza and Dhlakama but this is being delayed as amnesty passes through the house of parliament. Peace now for 1.5 months. 12/08/14 - Reports indicate that the agreement has been signed, and will be announced and broadcast today in Maputo! 27/06/14 - More attacks on the convoy as they keep on coming essentially every day. 21/06/14 - Another day and another attack on the column. Reports this morning of an LTM passenger bus being caught up in the crossfire. 05/06/14 - Three attacks in three days on the EN1 between Rio Save and Muxungue. Only essential travel between these two points is now advised. 03/06/14 - Two more attacks on the military column between Muxungue and Rio Save this morning with different media sources reporting different numbers of military deaths, and civilians injured. 25/03/14 - Today marks two months since any attack on any civil targets or the important Muxungue - Rio Save military column. 31/01/14 - Continuing positive talks between Frelimo and Renamo provide further hope that the conflict can soon be over. The important request by Renamo that the electoral registration (that begin earlier this week) be extended by two weeks was instantly accepted demonstrating that the government is serious about encouraging Renamo to participate in October's Presidential elections. 19/01/14 - Another attack on the column this morning and sadly more victims. One a FADM Major. 15/01/14 - After two weeks without an attack the military column between Rio Save and Muxungue was hit today with two victims renowned football players returning from a game. Concerning reports, also, of Renamo build-ups in Niassa, Cabo Delgado, and even Matola in Maputo Province. 15/12/13 - More attacks on the military column and more victims. At least one civilian victim this morning along with a number of military deaths. 01/12/13 - A civilian was gravely injured in another attack on the military column this time near Ripembe River. The attack happened at another location where the highway the highway was interrupted by a trench. 30/12/13 - Three days of quiet in the dangerous Muxungue area is broken by another military column being attacked. No reports of civilian injuries but a civilian bus was riddled with bullets. The city of Beira back to relative normalcy. 27/11/13 - Riots in Beira, and a shooting near Muxungue highlighted that things are still not back to normal in Central Mozambique. Riots were provoked by disputed reports of forced army recruitment. The shooting near Muxungue was of a local teacher who was waiting for transport in the dangerous Rio Save - Muxungue strip. 21/11/13 - There was an attack on a commercial vehicle near the town of Maringue. Two youths, sons of the driver, were killed in the attack on this civilian vehicle. Election Day - In summary very calm and organised however a number of reported incidences of violence and fraud. 16/11/13 - A political rally in Beira turned ugly with a few fatalities, and many injured. The government insists that the special forces only shot upon the crowd when they attacked government cars, whilst the opposition (MDM) maintain that it was a peaceful rally that turned into a stampede when special forces started firing live ammunition and tear gas. 11/11/13 - Gorongosa National Park staff attacked in Park vehicle near Gorongosa, none wounded. FADM forces attacked near Maringue, 4 wounded, 1 fatality. Near Nampula men dressed in Renamo fatigues sacked a business a set fire to building and car. 10/11/13 - Fighting registered between FADM and opposition near town of Gorongosa. Numerous wounded military reported. 09/11/13 - Passenger Bus attacked near Muxungué despite protection from military column. Three passengers wounded by bullets. 05/11/13 - Military column attacked again between Rio Save and Muzungue. One civilian killed, and three wounded, including one pregnant woman. More fighting between Renamo and FADM near Maringue - unconfirmed how many casualities. Fighting also reported near Vunduzi with reports of truckloads of casualities being transported to local hospital. 04/11/13 - Military column attacked again between Rio Save and Muxungue. One of the victims was a Jeep that escaped into the bush before rejoining the column. At least two civilians wounded. In the only attack reported so far in the Province of Zambézia. The Renamo position was being attacked by heavy artillery. 03/11/13 - Military column attacked again between Rio Save and Muxungue, no reports of injuries. Further north at River Pungue two vehicles were attacked. There were no reports of injuries but one of the vehicles was torched. 01/11/13 - Military column attacked again between Rio Save and Muzungue, wounded taken to hospital in Vilanculos. Anglo-Australian company recommends family members of workers temporarily return to their countries until situation stabilises.